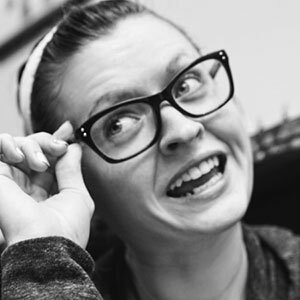 For our latest installment in the Switchboard Spotlight series we were pumped to chat with Leslie Samuel, the creator of Become A Blogger, Interactive Biology, and host of the Learning with Leslie podcast. “We’re changing the world one blog at a time,” Leslie says, grinning ear to ear in the kind of way that easily convinces you he’s doing just that. 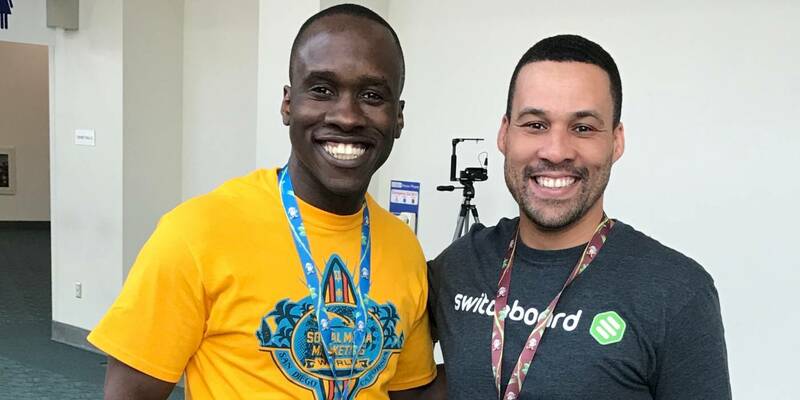 Leslie caught up with us at Social Media Marketing World and shared his enthusiasm for connecting with people, particularly with live video streaming. What’s Your Favorite Part About Social Media Marketing World? Leslie was quick to identify the social aspect of #SMMW18 as one of his favorites, completely understandable considering the impressive amount of brain power circulating around the conference. Establishing relationships with such talented individuals can be extremely beneficial. What Do You Think Stops People From Blogging? Fear is his number one answer, and Leslie pointed out how it manifests in several areas of concern for those who can’t find the confidence to begin blogging. What’s the Importance of Creating a Blogging Sales Funnel? Sales funnels remain a hot topic of discussion these days, and Leslie is fond of using them for blogging. He spoke directly on this topic at #SMMW18 for How to Create a Blogging Sales Funnel to Increase Your Revenue During his panel, Leslie highlighted that bloggers are quick to start creating content and growing an audience, but that they don’t usually start by making money. Creating a blogging sales funnel will help you do that in more of an automated way, he says, where you can nurture relationships with people, then use follow-up campaigns to help nurture that relationship. This will provide your readership with the value they’re looking for and simultaneously expose them to your products and services. What’s One Important Lesson Social Media Marketers Need to Learn? Leslie went on to talk about how, when we’re creating content online and building our social platforms, or even our personal brand, we need to always remember the people we’re trying to serve first. It’s all about making the audience the center of attention, not ourselves. Why is Authenticity so Important With Social Media & Live Streaming? “Authenticity is key,” says Leslie. He pointed to the ‘polished professionals of TV from the past’ and how they had a certain persona. Nowadays, people want to connect with others they can see themselves in – people they know, like, and trust. Why Do You Do LIVE? As Leslie and many other video content experts agree, live broadcasts take social media to the next level. With streaming, it’s no longer a case of posting text somewhere and waiting for people to engage or respond. By connecting with your audience through live video, you add value to the social relationship. Leslie told the story of watching a stream from Live Streaming Pros with his son. During the broadcast, he posted a comment to let the host know that his son liked what they were doing. When the host replied during the broadcast, his son was in awe, particularly because he felt he was part of the action. We couldn’t agree more with Leslie on how vital connecting on a personal level is. To learn more from this friendly blogger, check out Become A Blogger and Interactive Biology, where Leslie pulls from his teaching background to educate subscribers all around the world! Stay tuned for upcoming editions of Switchboard Spotlight, and make sure to sign up for a FREE TRIAL of Switchboard Cloud!